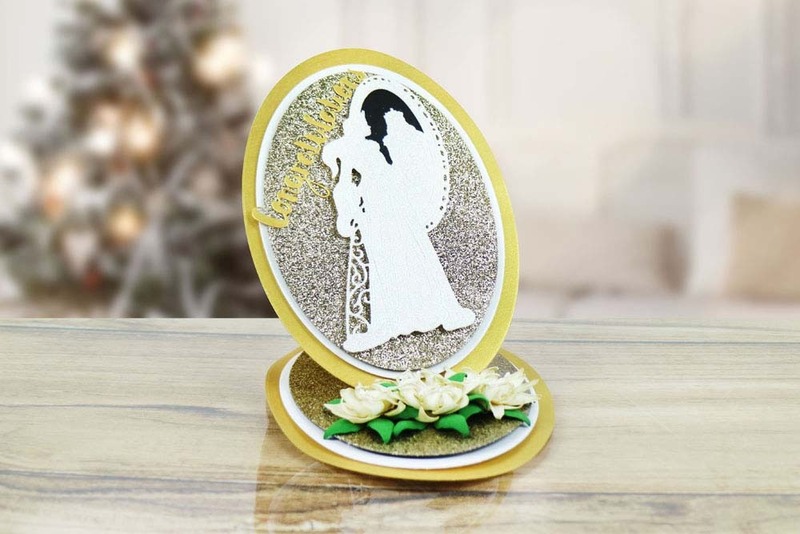 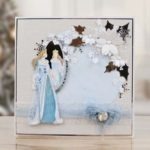 This Tattered Lace Winter Bride die features a stroking lady wearing a long dress, overcoat and tiara, staring into her reflection in a grand mirror. 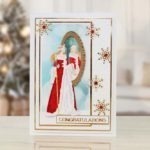 It has stunning cut out detailing, draping on her dress down to her hair like strokes of the fur trim around her overcoat. 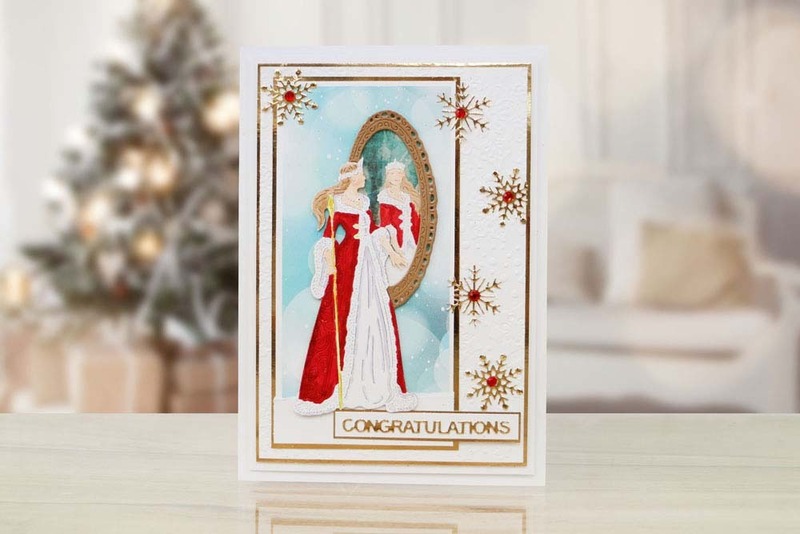 This gives an impressive wow factor to your card fronts. 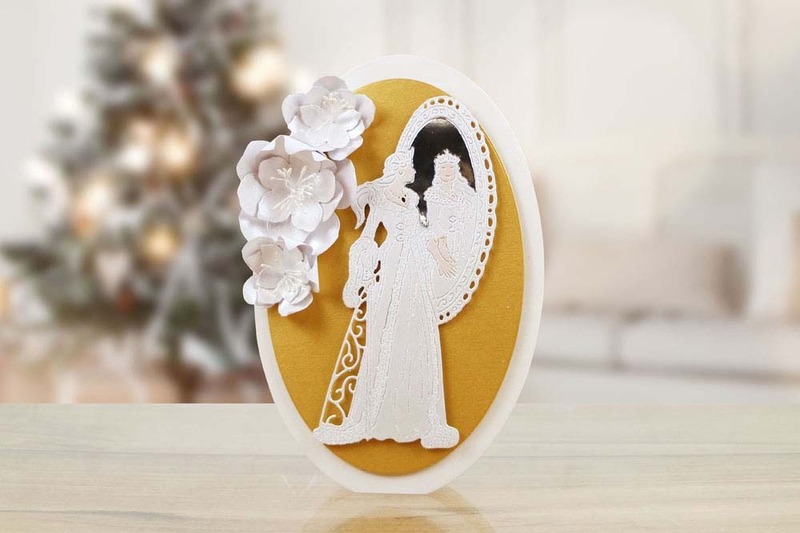 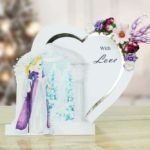 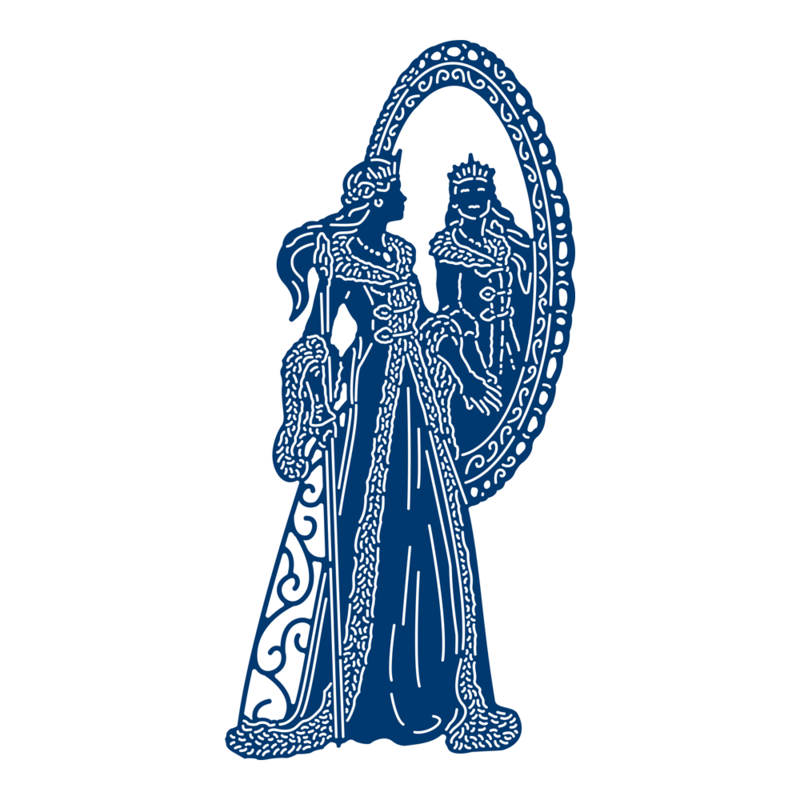 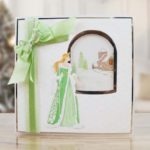 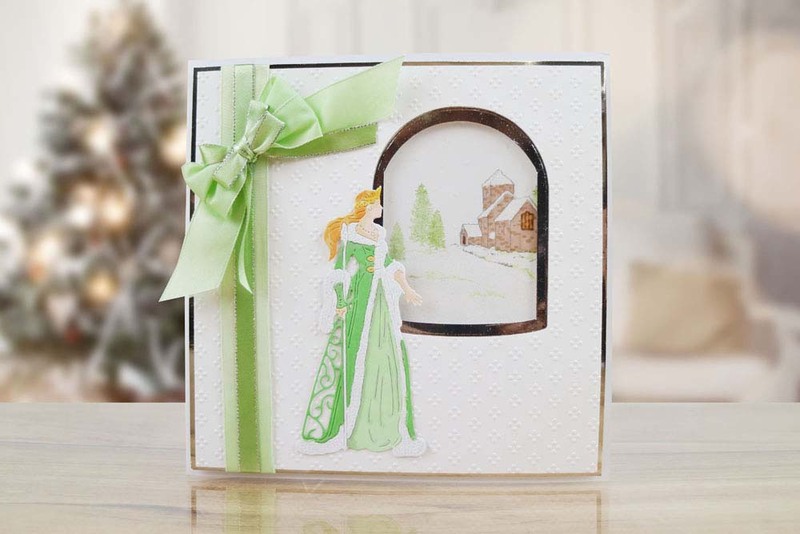 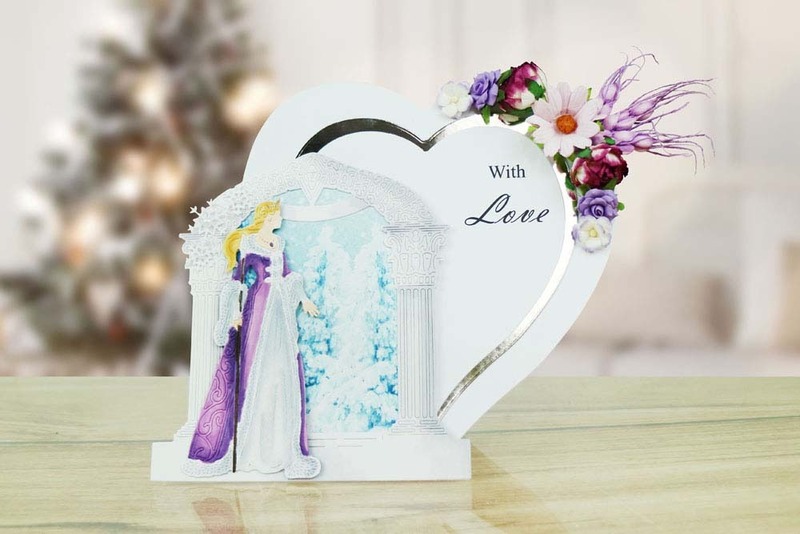 You can snip into the die by removing the mirror to use the bride element singly, incorporate this die into outdoor scenes or on castle printed backgrounds to create a different look every time. 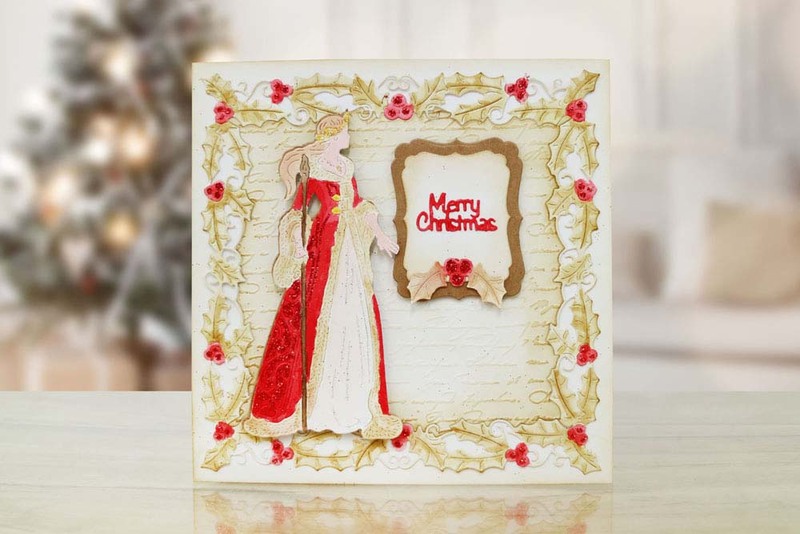 Use alongside other dies from the Fantasy Christmas collection. 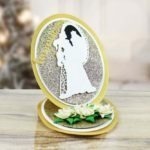 This die measures approx 7.5cm x 15.4cm.